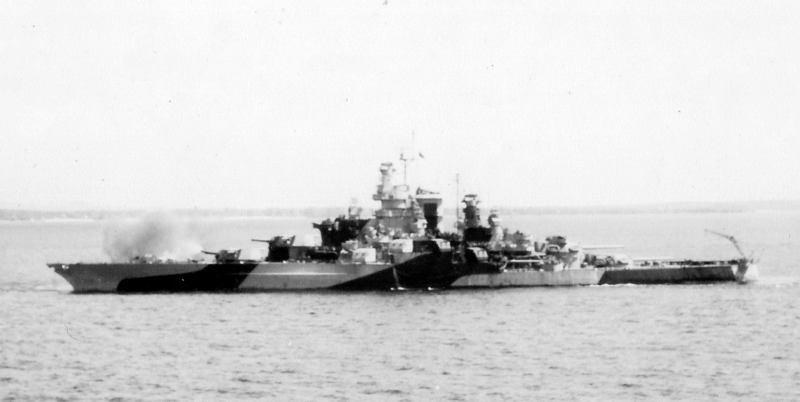 The battleships USS Tennessee (BB-43) (front) and USS California (BB-44) (back) on June 31, 1944, in Tanapag Harbor, Saipan. Tennessee is in camouflage 32/1D and California is wearing 32/16D. Photo taken by USS Gambier Bay (CVE-73). 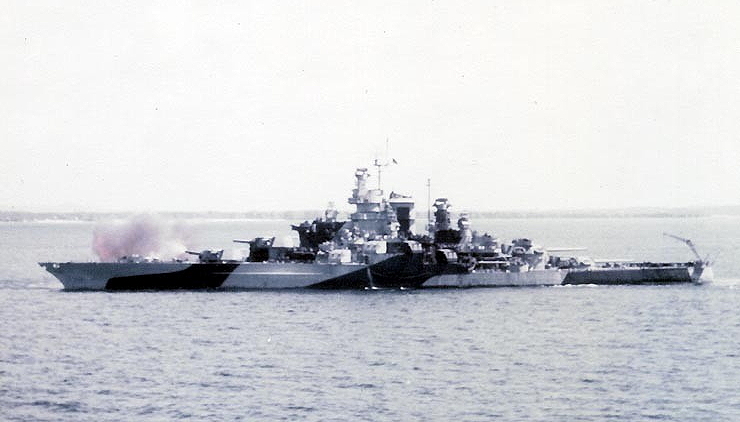 USS Tennessee (BB-43) is seen from a distance bombarding Guam on July 19, 1944, in cropped black and white version of an original color photograph. Tennessee is again wearing camouflage 32/1D. The color version of USS Tennessee (BB-43) from a distance bombarding Guam on July 19, 1944.. Tennessee is again wearing camouflage 32/1D. The colors of this camouflage do not show well in this color version. 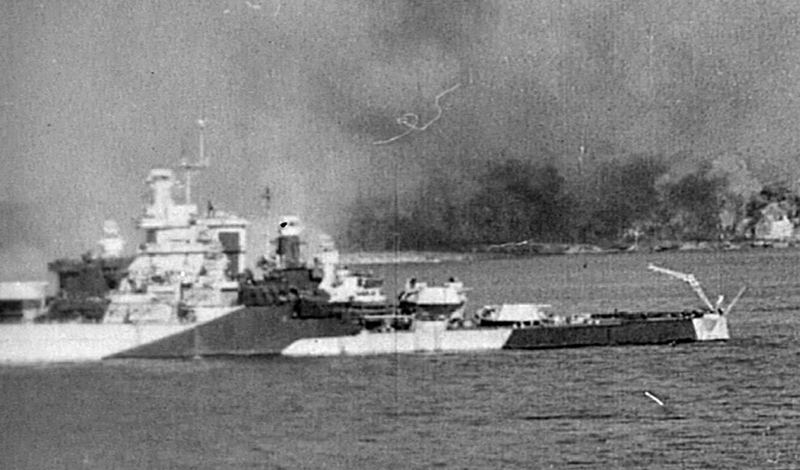 USS Tennessee (BB-43) in a still from a movie of the bombardment of Pelilieu in September 1944. Tennessee is still in camouflage 32/1D. Photo source: Critical Past video #65675067286 frame 2208.